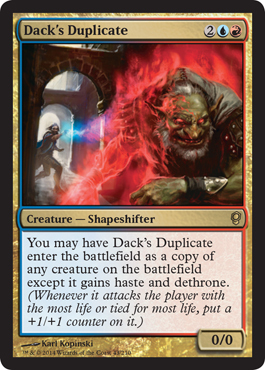 Two other spoilers from yesterday (we focus on what the Mothership releases, not what can be found elsewhere on the internet) are Dack's Duplicate and Provoke, one new and one old. 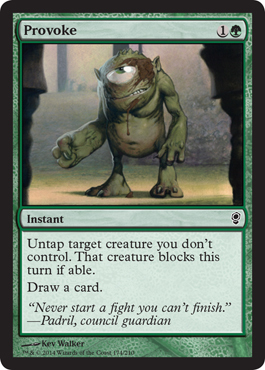 Provoke is an older card from Stronghold that allows you to force a creature to block a creature you have (such as deathtouch a larger creature, take out a creature with a pesky ability), etc. 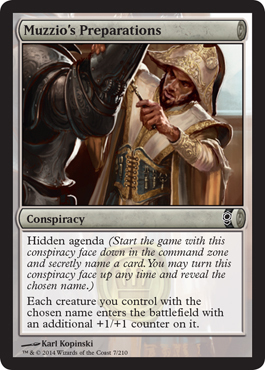 And you get to draw a card. What can't you love about this card? 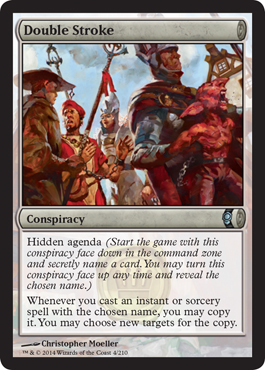 Our other spoilers today include Secret Summoning and Lizard Warrior. Secret Summoning allows you to find duplicate creatures in your deck. Something like Squadron Hawk's ability. 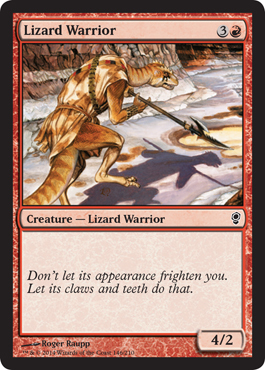 Lizard Warrior is just a vanilla 4 mana 4/2 creature. 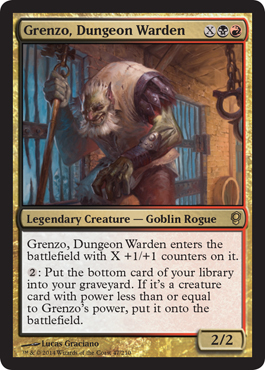 Technically Muzzio;s Preparations and Double Stroke are "new," but we snagged screenshots of them off the preview video during Pro Tour Journey Into Nyx. 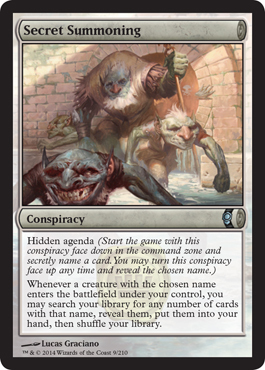 Our Spoiler Page is available with other spoiled cards, but it won't be updated for a little while. Expect the above cards to be added by Saturday evening.